Prime Urgent Medical Clinic (Southaven) - Book Appointment Online! 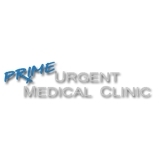 At Prime Urgent Medical Clinic, we treat a wide variety of illnesses, injuries and conditions. Prime Urgent Medical Clinic can also be your primary care provider if you do not have a primary care physician.